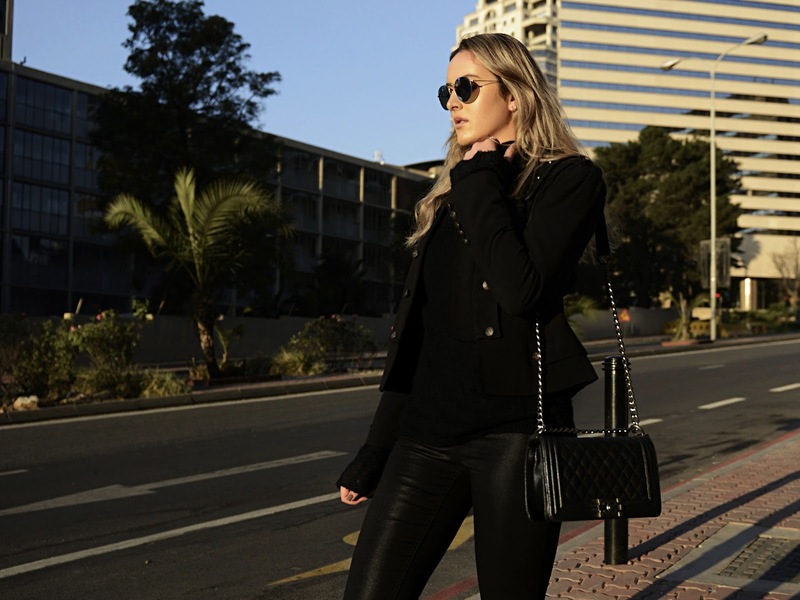 Wearing all black in winter does not have to be boring. In fact, I find that wearing all black is rather fun and never bland. For this outfit, I paired some reflective blacks via shiny, leather-like leggings and leather boots with a LOT of buckles for edginess. To balance the edge, I layered a very feminine oversized high neck sweater with flared out cuffs. To pull the whole thing together, I added a black military jacket with the most gorgeous bronze button details. Playing up the detailing of the pieces as well as the fit will always guarantee you success in a black-on-black ensemble.